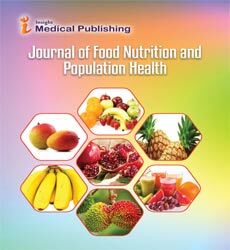 Journal of Food, Nutrition and Population Health is an international peer-reviewed, open access journal that provides rapid publication of articles in all areas of Food, Nutrition and Population Health. The aim of this journal is to provide a platform for scientists and researchers all over the world to promote, share, and discuss a variety of innovative ideas and developments in nutrition sciences and public health. Subject areas suitable for publication include, but are not limited to the following fields: Nutrition, phytonutrients, food science, Bioavailability of nutrients, Human nutrition, health sciences, Clinical nutrition, Micronutrients, public health, Trace elements, and nutraceuticals.